In an industry where supply costs account for only 5 to 10 percent of total cleaning budgets, and labor costs represent 90 to 95 percent, the importance of properly trained personnel becomes very apparent. We understand this and have committed substantial resources to the development of our people as well as the responsibility to provide this value-added service to our customers. While we are not aware of all the service needs within your facilities, we make the commitment to design (with your input) and provide in-service training that allows people to move forward. Our goal is to make our relationship with your business more effective. We are confident in our ability to maximize your businesses efficiency, with the support of our account managers and customer service, in order to improve the quality of your companies image. Just like any intangible service that you buy, choosing a cleaning service can often have you left with lots of questions. Well, we are here to help, below are some commonly asked questions, but if there is anything that we can do to make the decision process easier, please feel free to contact us at (650) 556-0602 or click here for a FREE Quote . We look forward to establishing a relationship with you. Do we provide service to any business or home? Yes! We do offer our business expertise to all. We are not limited to just inside your home or business. Peninsula Mobile Service is proud to present our high quality service to the exterior of your building and landscape as well. Our company is the total package at a cost efficient price for all of our clients no matter what size the job may be. Can you supply our facility with cleaning and paper products? Yes, Peninsula Mobile Service can provides your facility with all of the expendable restroom & office supplies, such as fine paper, toilet tissue, cups, plates, kitchen utensils, deodorizers, hand towels, hand soap, hand sanitizer, eco friendly trash liners, trash receptacles, dispensers, toilet seat covers, skin care, chemicals, cleaning equipment, and food service products. We have the ability to special or custom order almost any order you require in a timely manner. Yes, Peninsula Mobile Service is available 24hrs a day, 7 days a week in the event of an emergency. Please contact us at (650) 520-4109 or email: alexm@peninsulaservices.net and let us know how we can accommodate your needs. Once I have decided to upgrade my cleaning services, how much notice would you require before you can start? Peninsula Mobile Service will start rendering service that day, after completion of contract agreement. Do you perform routine residential cleaning? Yes, we do offer numerous one-time services to the residential market, and routine cleaning services. Please see our complete list of Special Cleaning Services. What if I am not satisfied with the services that Peninsula Mobile Service provides? With Peninsula Mobile Service your satisfaction is our utmost concern! If for any reason you are not satisfied with the work that we perform, call us within 24 hours and an account manager will promptly return to remedy the problem. Payment for one-time services is to be rendered at the completion of the services. Any contracted work is invoiced at initial binding of contract, and is due within 30 days of the invoice. We accept personal or company checks. Checks can be made payable to Peninsula Mobile Service. Are your employees bonded and insured? Yes, Peninsula Mobile Service provides full insurance and bonding up to $1,000,000.00 for all employees. Certificate of Insurance available upon request. No, Peninsula Mobile Service does not require the execution of a long term contract. We do offer a month to month or modified contract for all routine janitorial cleaning services. By signing a bonding contract, it allows the customer to pay within 30 days of the date of invoicing and also reduces the cost of optional services. Either party may terminate the contract; however, the client must terminate contract with 30 days advance written notice. Do you charge per hour or per job? Peninsula Mobile Service contracts are assessed per job basis. 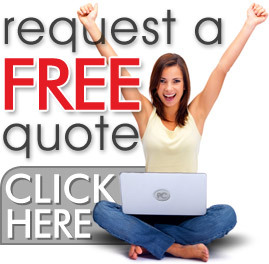 We offer Free Estimates on all of the services we perform. What is your coverage area? Peninsula Mobile Service proudly provides janitorial cleaning services throughout the entire Bay Area, and surrounding metropolitan cities. But not limited to just these areas since our company covers a large area, we can personalize programs to cover single or multiple locations. Please contact us for more information. Do you provide your own supplies and equipment? Yes, Peninsula Mobile Service provides all labor, supervision, management, equipment, cleaning supplies, and small tools necessary to perform all of the services we provide.